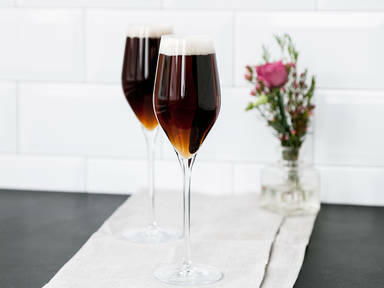 Fill each glass halfway with stout. Gently top each with the champagne. Enjoy!